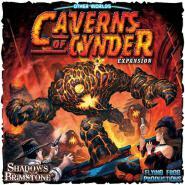 This Expansion introduces a brand new OtherWorld for Heroes to explore in the fiery, lava-filled depths of... The Caverns of Cynder! Containing a full set of 18 all-new Map Tiles with the Caverns of Cynder on one side and brand new Unique Mine rooms on the reverse! 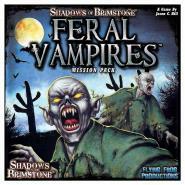 This Mission Pack contains a set of Feral Vampires as well as a new Objective Room Map Tile, over 40 new cards themed for these gothic horror Enemies, and 4 new Missions.